"As much as I disagree with the Colin Kaepernick endorsement, in another way - I mean, I wouldn't have done it. In another way, it is what this country is all about, that you have certain freedoms to do things that other people think you shouldn't do," Trump said. Christopher Svezia, a footwear and apparel analyst at Wedbush Securities Inc., said Nike shares were trading at roughly 30 times next year's forecast earnings, compared with 24 per cent for rival Adidas. 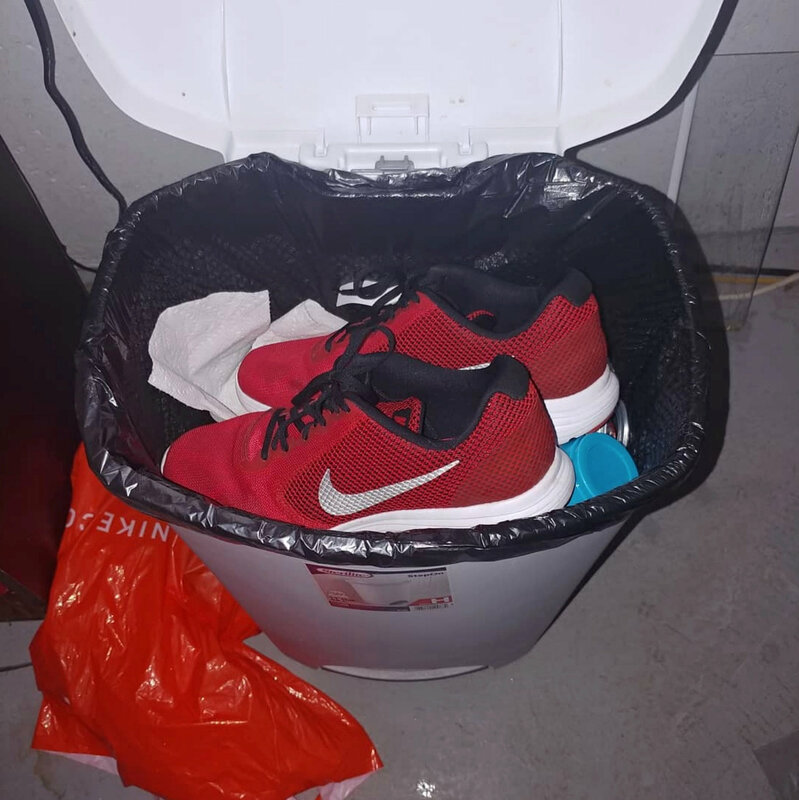 Nike sneakers are seen in a garbage bin in Oklahoma, U.S., September 3, 2018 in this still image from video obtained from social media.